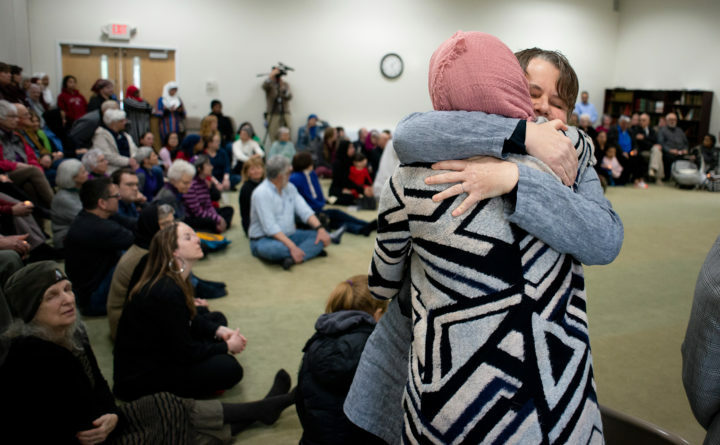 After speaking at a community vigil held for those killed in the New Zealand mosque attacks, Tracey Hair hugs Dina Yacoubagha, head of the social justice committee at the Islamic Center of Maine. Hair, a native Australian, spoke about how she was becoming a United States citizen the morning of the attack. About 150 people attended the community vigil at the Islamic Center of Maine in Orono on Friday. Tracey Hair was at the Margaret Chase Smith Federal Building in Bangor preparing to take the oath of citizenship March 15 when she heard that a fellow native Australian had massacred 50 people at prayer at two Christchurch, New Zealand, mosques. Hair, who lives in Bucksport, was one of more than 150 people who attended a vigil Friday afternoon at the Islamic Center of Maine in Orono to remember the lives lost when a 28-year-old lone gunman opened fire in what has been described as a right-wing terrorist attack. About 150 people went to the Islamic Center of Maine in Orono to attend a community vigil for those killed in last week’s mosque attacks in New Zealand. The 45-minute vigil began about 1 p.m. following jumma, the weekly congregational prayer service. Originally planned as an outside event, it was inside the mosque due to Friday’s steady rain. Members from two Bangor synagogues and the Peace and Justice Center of Eastern Maine, an Orono town councilor, and a dozen or so others expressed sympathy for and solidarity with Muslims who live, work and attend school in northern Maine. Members of the mosques reached out to the Jewish community in October after an attack at a Pittsburgh synagogue left 11 dead. “The grief and the fear that Muslims must feel should cause us to recognize our shared humanity,” said Mary-Anne Saxl, president of Congregation Beth El. “What happened to Jews has happened to Muslims — people of faith gathered together for prayer on their Sabbath gunned down by extremists and a racist. What a terrible thing it is that this is what brings us together. 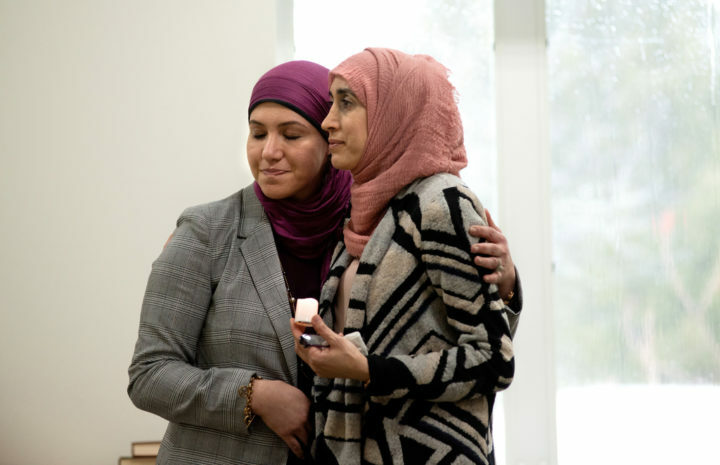 Marwa Elkelani (left), education chair at the Islamic Center of Maine, and Dina Yacoubagha, head of the social justice committee at the Islamic Center of Maine, listen as community members speak at a vigil held for those killed in last week’s New Zealand mosque attacks. About 150 people attended the community vigil at the Islamic Center of Maine in Orono on Friday. Kay Carter of Hampden urged those at the vigil to keep in mind a Quaker prayer. Motaz Elkelani speaks at a community vigil held for those killed in last week’s New Zealand mosque attacks. 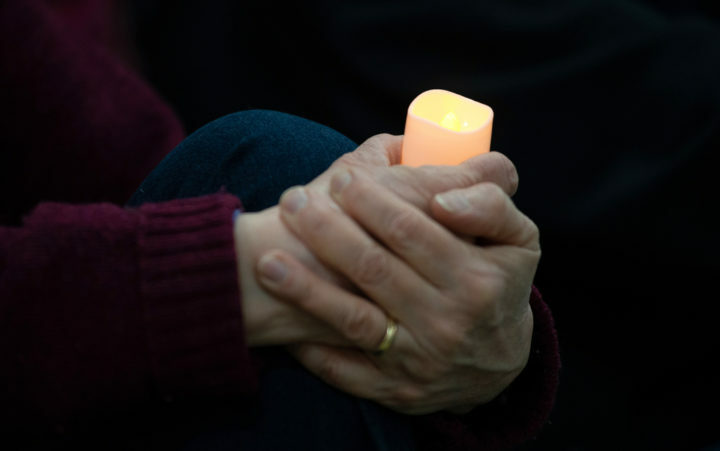 About 150 people attended the vigil at the Islamic Center of Maine in Orono on Friday. Omar Conteh, a spiritual leader at the mosque, said that he was grateful for the cards, flowers and letters of support the Muslim community has received. A longtime resident of Greater Bangor, he thanked the community for its continued support since plans for a mosque in Orono were presented to town officials in 1999. It opened in 2002. 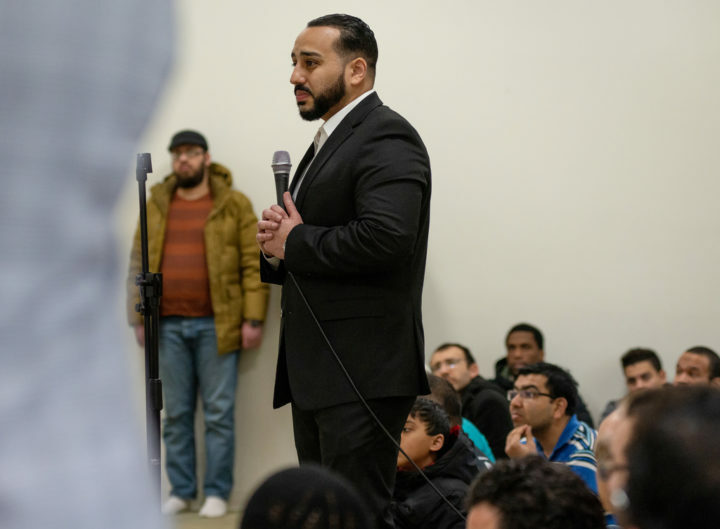 The mosque holds an annual open house and has an active outreach program that provides speakers who dispel myths about the tenets of Islam and the Quoran.